The night sky lures us, as it always has. Some of us answer its call more vigorously than others, but we all hear it. On a few occasions, I accompanied a friend of mine to a desolate spot off Southern California’s Ortega Highway, where we set up his small telescope. I would assist him as he would make meticulous adjustments, and then point his instrument to several interesting targets. We would then spend several hours peacefully contemplating the universe, much as our ancestors have done for as long as we have been human. Unlike them, though, we did not have to resort to inventing myths to explain the wonders before our eyes. We are heirs to the work of hundreds of generations of astronomers, who have tirelessly built upon their painstaking observations. Thanks to them, today we understand the Cosmos better than we ever have. And, still, the quest continues, as well it must, for the foreseeable future. I took this picture of my friend on one such occasion. The only light source was a dim red lamp strapped to his forehead. 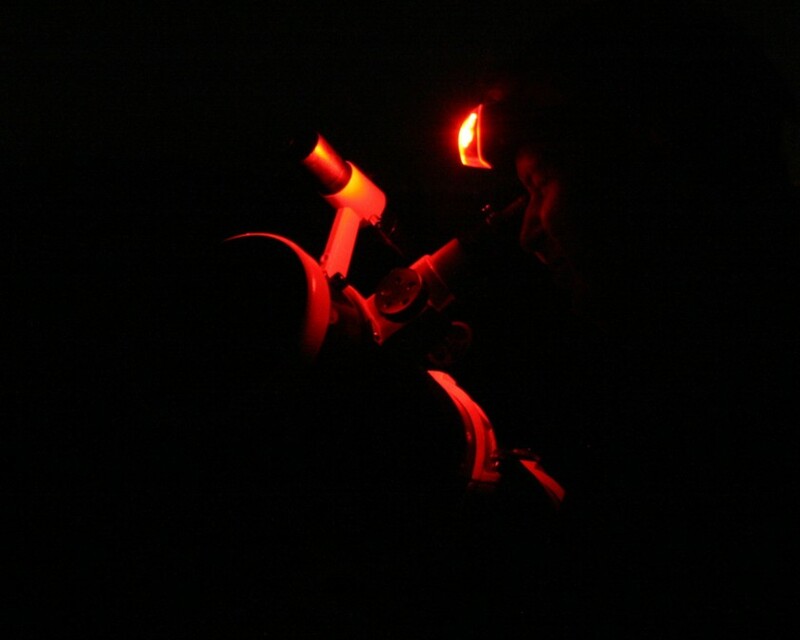 On this long exposure, it illuminated the white tube of the telescope and faintly reflected back on to his face. Nice story! Thanks for sharing! I've been looking to head out and get some photos of the Milky Way with some friends, I hope to have a good time contemplating the universe with them as you did with your friend. Keep on looking up!